Everybody loves Slack, there’s no denying it – we even tried mashing it up with our own APIs. However, what Slack lacks is the same ‘openness’ in voice/video communication. Yes it has cool webhooks, and a slick API but it lacks something. Torrey and I discovered this ‘something’ while working on our hacks using the Cisco Spark APIs. Cisco Spark is essentially the same product as Slack but the great thing about it is that each room gets assign a SIP URI! What better way than a quick tutorial to satiate all the VoIP geeks reading this – we’re going to hook up our WebRTC SDK to a CiscoSpark chatroom! I swear, it takes less than 10 minutes! A CiscoSpark account and a chat room with more than 2 users. NodeJS installed on your machine with a little previous knowledge of NodeJS and ExpressJS (as I won’t go into how to set it up or start a skeleton ExpressJS app). This part is probably the easiest, you just need to start a conversation with 3 or more people in CiscoSpark and grab the ID of the room that hides within the URL (whatever comes after “rooms/”). 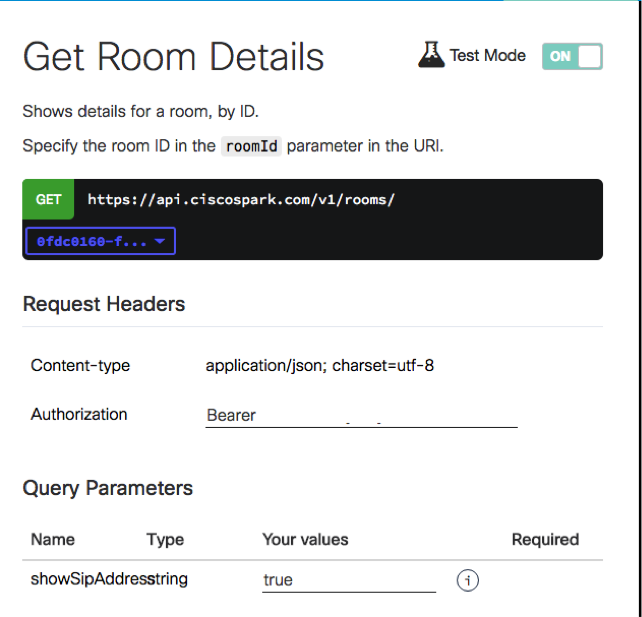 Now navigate to the CiscoSpark developer’s website and go to the Get Room Details endpoint documentation: or click here and don’t forget to sign in. You now should see what looks like a mini web-sandbox for API calls. Enable “Test Mode” in the right hand corner. Paste your Room ID into the RoomID field. In the Query parameters, set the showSipAddress to “true”. Run! (Click “run”, don’t actually get up and start running randomly). We now essentially have a SIP endpoint for our Voxbone WebRTC-SIP SDK! Navigate to your Voxbone account and under “Configure”, select Voice URIs. 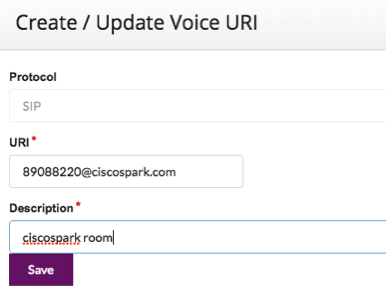 Click on “New” to create a new URI using your CiscoSpark room URI. You can use the search tool to look for a number that is not yet assigned to a SIP URI and is WebRTC enabled. Now you can assign your voice URI to this number (under the Voice tab) by selecting and applying your newly created CiscoSpark URI. 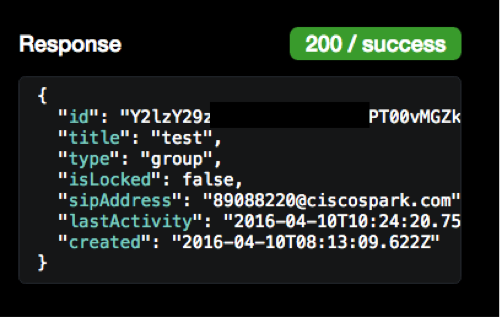 Now you can use the “Test Call” button to make sure your CiscoSpark room rings! For now, we will simply download our NodeJS starter app from Github and modify a few things. Navigate to Github and download the NodeJS WebRTC Starter App. 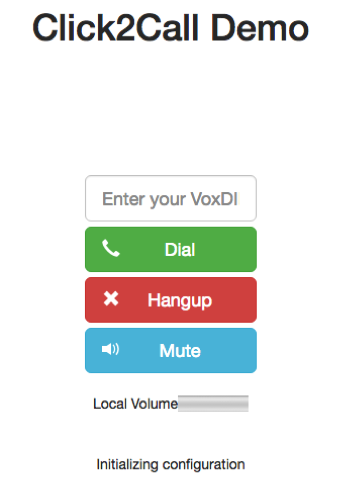 You can now input your Voxbone number in the input box and call it! That’s it! Easy right? The great thing with all this is that now, you can integrate both voice and messages (and video with a little bit of tweaking) to your web app for some really rich communication. Now take this demo along with all the resources and create the communication applications of your dreams!